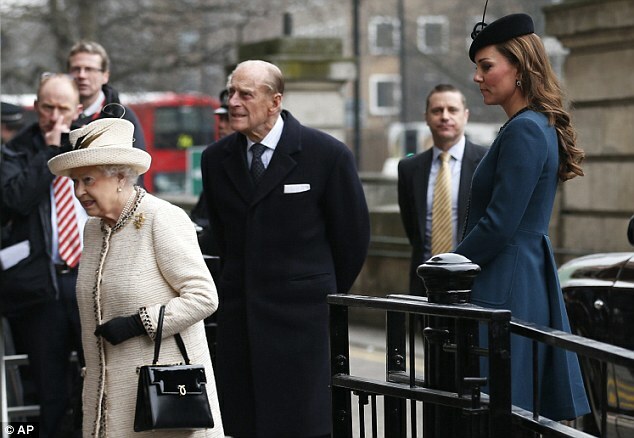 The Queen looked like she was back in good health as she made her first public engagement since falling ill nearly three weeks ago. Accompanied by the Duchess of Cambridge and Prince Philip, the Queen seemed to be showing the future Queen the ropes as they stepped out in London. 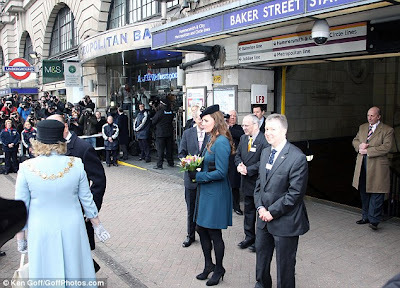 Taking a trip to Baker Street tube station, the royals were marking the 150th anniversary of the London underground. 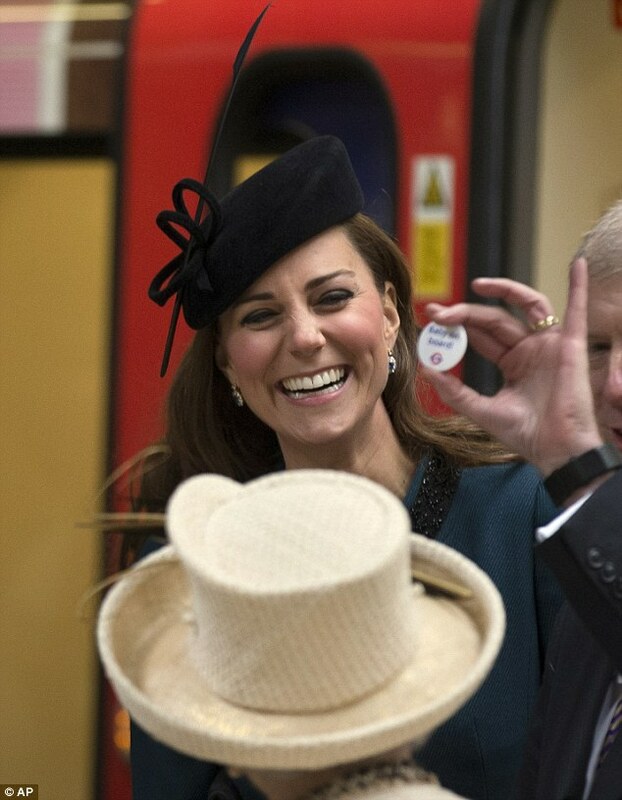 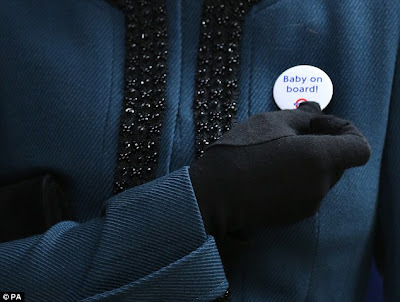 The Duchess wrapped up warmly in a short teal coat and black hat as she made her third public engagement with the Queen.